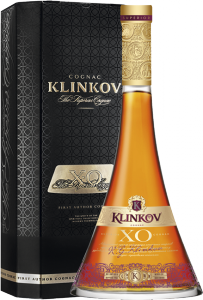 TM Klinkov is the leader of Ukrainian cognacs in the premium segment. The secret of successful production is the ability to combine high-level, advanced technologies and classical, traditional approaches. 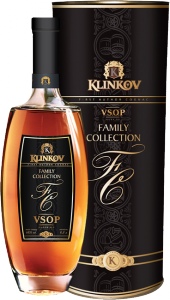 The right choice of a blend makes it possible to produce Klinkov cognac with a harmonious bouquet and a soft flavour. The source of inspiration for their production is the workmanship of the author, Radostin Klinkov. The name of Radostin Klinkov is well known to all world producers of cognac who worked with this talented technologist and blender, true to his cause, native of Bulgaria. 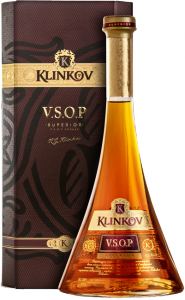 One of the best assemblage professionals, true to his work and an experienced specialist in cognac production, Radostin Klinkov, created his own product. He put an accent on the formulation, which was never applied in creating cognacs by anyone. Klinkov is a handmade luxury.